Note: I have more to say about the PCUSA issues, but am away speaking at a conference right now. So I’ll put up an interesting interview I recently did with Chris Smith. I’ll get back to the PCUSA soon. Yesterday I began interviewing Chris Smith, a pastor, scholar, and old friend from college days. Chris has been involved in a fascinating project to restore the original look and feel of the Bible, thus increasing its readability. When I ended Part 1 of the interview yesterday, Chris was talking about how important it is to engage the Bible as a collection of genuine literary creations. Mark: I’m tracking with you. So what did you and the others team do to solve these problems? 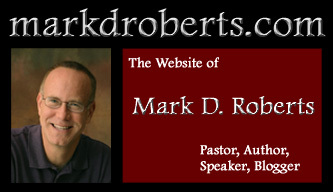 Mark: This conversation has stirred up some old memories of studying the Bible while I was in college. We used a method recommended by InterVarsity Christian Fellowship. It was called “manuscript study.” Basically, we looked at an English translation of some book of the Bible that was very much like the original Greek manuscript of that book, without chapters or verse numbers. Our English manuscripts did have spaces between words and punctuation, however, unlike the original Greek writings. I was glad for that. Anyway, it was fascinating to study the Bible without the familiar crutches of chapters and verses. I learned a lot from those exercises. It sounds like you’re doing something similar. You want people to appreciate the books of the Bible in the form they were written, not in the shape they were later given. Was that why you put some books back together? Chris: Yes. Some of the longer books became divided over time. Samuel-Kings, for instance, is really one long narrative. It describes the reigns of the kings of Israel and Judah from Saul to the exile. A single literary structuring device is used throughout the whole work. At the beginning or end of a reign, a formula appears that tells us how old a king was when he came to the throne, how long he ruled, and from what city. Samuel-Kings is known in the Septuagint, the ancient Greek version of the Old Testament, as the “Book of Reigns,” and I think that’s a pretty accurate title. It was divided into four parts so that it would fit on scrolls that could be handled conveniently. But these parts are “stitched together” editorially by a scribal convention in certain Septuagint manuscripts. The opening words of “2 Samuel” are copied onto the end of “1 Samuel,” to show that the two parts should be attached to one another. The same thing happens between the other parts of the work. So it’s really one long book. Mark: What about the New Testament? Did you combine any of those books? Mark: Why did you change the order of the books? Chris: We are used to encountering the books of the Bible in a fixed order, but this is actually another later development. Before the advent of the printing press, the biblical books were presented in a great variety of orders, based on different historical, literary and liturgical considerations. The gospels, for example, appear in nine different sequences in the manuscript tradition. Paul’s letters are found seventeen different ways. The order we’re familiar with today gives us little help in situating the biblical books in their historical contexts. Paul’s letters, for example, are now arranged by length, from longest to shortest. If we numbered them according to a reasonable account of when they were written (scholarly opinions will vary in some cases), with “1″ being the first epistle written and so forth, we’d discover that the current arrangement presents them roughly in this order: 6, 3, 4, 5, 8, 10, 7, 1, 2, 11, 13, 12, 9. How can we hope to understand these letters in the context of Paul’s life and the development of his thought when we read them in this sequence? Mark: Maybe people would be able to get into Paul if we put them in the opposite of the biblical order, with the shortest one first. After all, Romans is a pretty tough start for most readers. Philemon would be a whole lot easier. But I can see the value in using a more or less chronological order for Paul’s letters. Do you have any more examples of order changes you made? Chris: Yes. Let’s consider the Old Testament prophets. If we read through the prophetic books in the traditional order, we will find ourselves seesawing wildly back and forth between centuries. We should really read Amos, Hosea, Micah and at least the beginning of Isaiah together, since they all speak to the same historical situation in the eighth century B.C. But in the usual order, to get from Hosea to Amos you have to read Joel, which many scholars believe was written several centuries later. And to get from Amos to Micah, you have to read Obadiah, which came 150 years later, and Jonah, which could also be another late book. I think people often give up trying to situate these books in their historical contexts and end up seeing the Bible as a collection of airy precepts removed from human experience and the flow of redemptive history. Mark: Oh my. When I was young, I spent a lot of time memorizing the books of the Bible in order. Now I’m learning that order wasn’t terribly helpful. Chris: Sorry, but that’s true. The traditional order can also confuse us about the literary genre of certain biblical writings. Mark and Christ, this is great stuff. I taught the manuscript method for over ten years, in Northern California and then at Campus by the Sea out on Catalina Island. I sat in on many sessions with the master, Paul Byer, who was an incredible observer of the text. My third year as a Christian, in 1979, I studied the book of Amos in the manuscript form at Pinecrest. I had never really encountered God in the pages of scripture like that. It must have been like that on the Emmaeus Road for the two forlorn disciples. Using the manuscript method, I discovered what J. B. Philips discovered, that the book is alive. 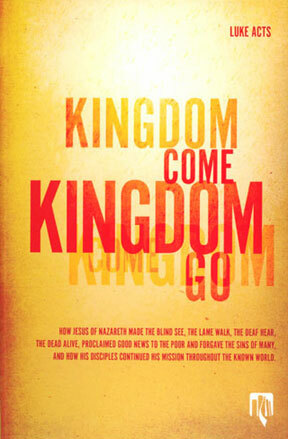 I am ordering a case of “Kingdom Come, Kingdom Go” for my classes at APU. Thanks! I take it that they are using the TNIV in this new publication. If so, too bad. I am not saying I will not buy it and use it as a reference but I believe this new publication will have a more limited audience because so many are absolutely set against the TNIV. Personally, I think they went a bit far in the TNIV but it isn’t anywhere close to as bad as some have charged. 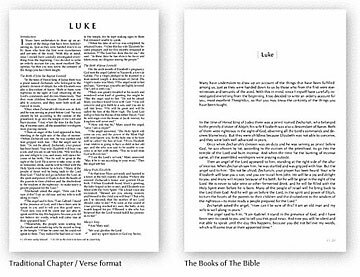 On their website I found a couple of their reading plans very interesting and will use them as suggestions for people who want to get a quick overview of the whole story of the Bible. Any change of mind by you in relation to the TNIV?